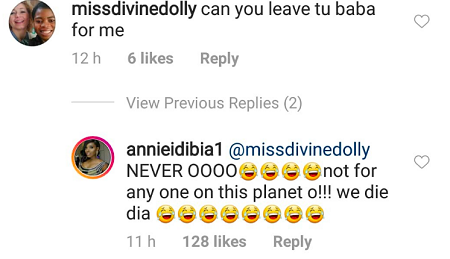 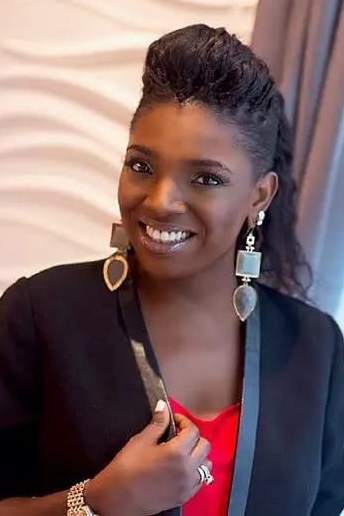 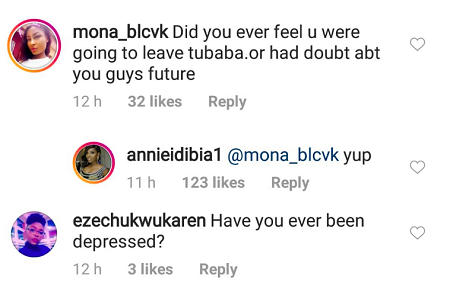 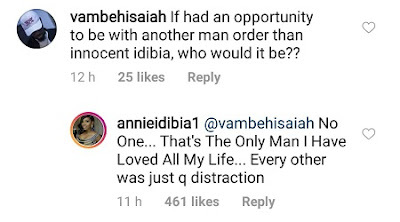 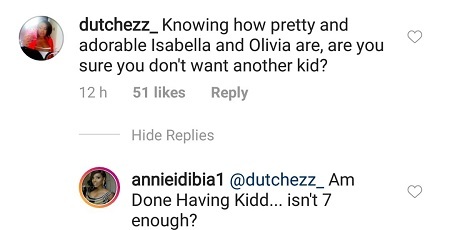 The wife of music legend Tuface Idibia and Nollywood actress Annie Idibia revealed that she had finished having children. 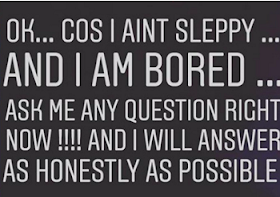 The mother of two girls made her know about IG during a question and answer session with her fans who saw her share a lot of personal information about herself. It's so cool that she accepted that she is the mother of her husband, seven children.